Working out who is best to back for this weekend's Hungarian Grand Prix may be a matter of balancing a set of scales. Each of the big three teams have reasons to back them. And not to back them. Will Red Bull be repeating its Monaco celebrations? We can start with Red Bull. The twisty Hungaroring track looks like it could be designed for its car, including that it will show up its horsepower deficit less than any other circuit on the calendar Monaco aside. Red Bull won in Monaco which is a track plenty liken to this one and likely would have had a one-two there without Max Verstappen binning it in Saturday morning practice. The team clearly thinks this is a conspicuous chance to win too given how it stockpiled engine part penalties for Daniel Ricciardo in Germany to avoid the need to have anything like that here. The only trouble is its actual record at this track which is oddly poor. 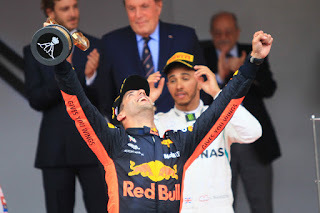 The team has only won here twice and one of those was a crazy rain-impacted race in 2014 wherein Ricciardo took the lead late on. Otherwise its solitary triumph was back in 2010. Then there is Mercedes - which was the third of three in Monaco and appears at its weakest relative to its two chief rival cars when downforce has to be piled on. Last year at the Hungaroring it found the track's medium speed corners, smooth surface and high ambient temperatures not to its taste either. But on the other hand Lewis Hamilton is in many eyes a Hungaroring specialist and has won here five times. Yet on the (other) other hand, his recent few visits haven't been all that impressive - indeed he's been out-qualified by his team-mate in the last two. 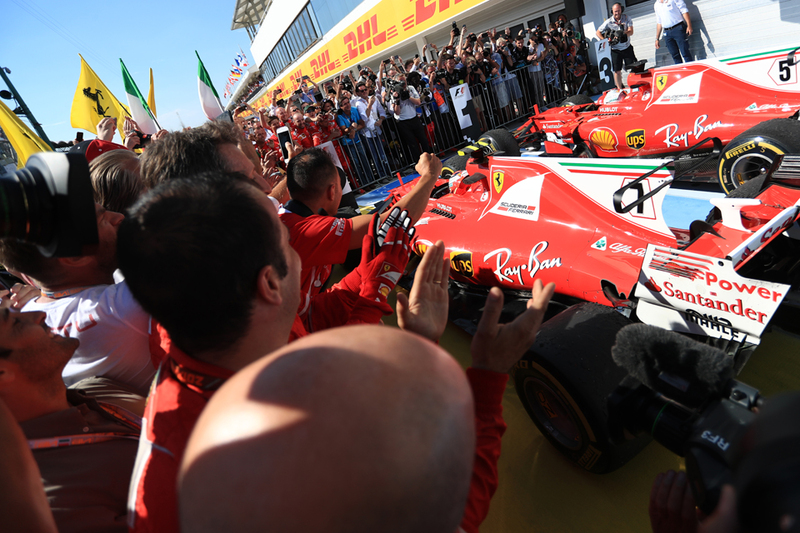 Which leaves Ferrari which may again offer the best compromise. The Italian car's form generally has been very good recently and last year it took a one-two in Hungary's qualifying and race. Then again it benefited then from a short wheelbase suiting the twisty track, and this year its wheelbase is about as long as Mercedes's. The bookies agree though that Ferrari is looking good for this one and has Sebastian Vettel favourite to get pole at 9/4 and to win at 21/10; compared with respective odds of 3/1 and 10/3 for Hamilton. Yet all things considered the best betting value looks to be with Red Bull. Verstappen is available to back for the win at 10/3 and Daniel Ricciardo at 7/2. Even their odds to finish on the podium look decent at 11/13 and 11/10 respectively. And of the two to back Max may be the one, as Ricciardo hasn't qualified ahead of his team-mate since Monaco (when Max missed qualifying). Or you might prefer hedging with a bet on a Red Bull win at 13/8. Long range forecasts have rain around this weekend though, with some on Saturday and perhaps more on Sunday. This may swing things back to Hamilton. Valtteri Bottas continues to inspire little faith among the bookies, which is odd given he could have had any number of wins this year but for foul luck - and he's just added Hockenheim to his unwanted list. Of course the Mercedes drawbacks apply to him too but the 18/1 for him to win looks ridiculously long and worth a punt even as a long-range flutter - he did after all out-qualify Hamilton here last year. Even the 9/4 for him to finish in a podium place looks good. The Spanish pair of Fernando Alonso and Carlos Sainz are Hungary specialists - Sainz has bagged an eighth and seventh place in his last two Hungarian Grands Prix while Alonso's last three finishes here read fifth, seventh and sixth and he also bagged fastest lap last season. Though - once again - on the other hand McLaren has struggled with low speed grip this year, which you need at the Hungaroring. Sainz's Renault seems a good all-rounder so you may be more tempted by his 5/2 to finish in the top six and 11/20 to score than Alonso's respective odds of 3/1 and 13/18. Given the tendency at Hungaroring races for the pack to back up in a game of follow-my-leader - overtaking is near-impossible in other words - the 11/4 available on a winning margin of under three seconds looks pretty decent also. All odds quoted in this article were accurate on the Oddschecker website at 2100 GMT on Wednesday 25 July 2018.